Bath bombs aren't necessarily a new thing but they've gained in popularity these last few years. Adults and children alike are fans of the soaps that dissolve in water. Fizzy Magic is a company dedicated to kids' bath bombs for boys and girls ages 4 to 9. Unlike some others on the market, Fizzy Magic uses pure and safe ingredients. They are also formulated with skin softening properties and pleasant scents. Each Fizzy Magic bath bomb has a clue to the surprise inside. For instance, a clue might read "I belong in a flock." The child can take a guess, and they will see if it's right when the bath bomb fizzles in the water. For that particular clue, it would be a little toy sheep. Each Fizzy Magic bath bomb has a specific color and scent. The water will turn that color when the bath bomb is placed in it. The color does not stain or leave residue. Some of the bath bomb fragrances are Lemon Lime, Tropical Rain, Blackberry Vanilla, and Cucumber Pear. The scents are created using essential oils. There are currently three Bath Bomb collections - Farm, Safari, and Sea Life. The bath bombs can be purchased individually or you can purchase a themed box. I received a Farm box collection and it included 5 Jumbo Bath Fizzies (one puck and four rounds), 5 Fun Fact cards, a carrying bag, and a 'Goodnight Lily' printed book. 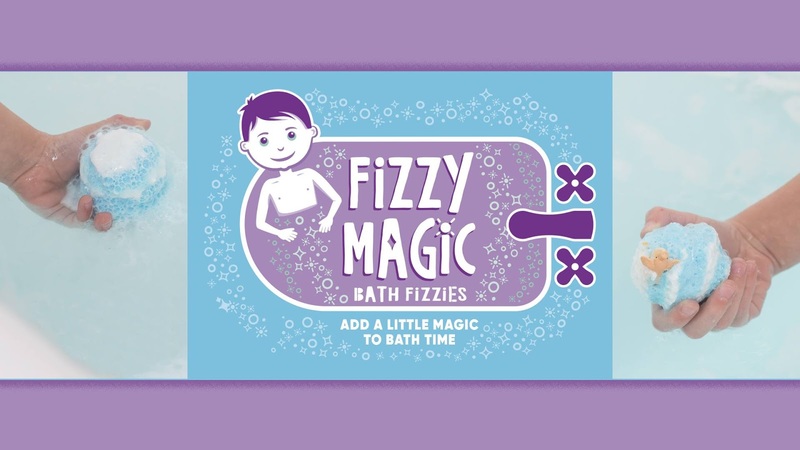 After your child is done taking a bath, you can read them an online Fizzy Magic story online. Each short story with pictures are written and illustrated to promote good behaviors, build collaborative relationships and to help discover the positive aspects of our differences. There are currently eight stories available. There are so many things I love about Fizzy Magic. For one, the ingredients are not harmful to a child. For another, they create cool colors in the tub and smell good. 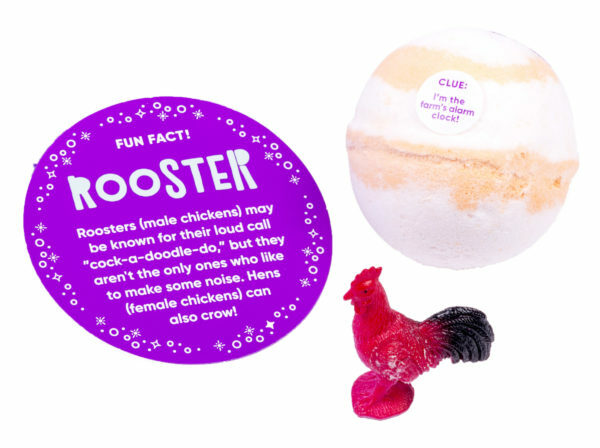 Thirdly, kids receive a neat small animal toy once the bath bomb has dissolved. Additionally, kids can guess what the animal is before using the product by reading a clue. To top it off, stories can be read online and a percent of the proceeds are given to Graham's Foundation, dedicated to preemies. Oh, and they're made in the USA! One person will win a box of Fizzy Magic bath bombs. My four year old nephew would so love the sea life. I think that we'd like the Sea Life collection the most! I have never tried bath bombs before. I think they would be fun. I am not picky, I would take what I can get. Thanks for sharing. I will look into these for my kiddos. My son would love the Sea Life bath bombs! My daughter would love the Sea Life bath bombs! I would go with the Safari one! My child would love the safari set. My kids would love the Sea Life collection! We just went to the Aquarium last week so they would be really excited about this one. i think he would really like the Safari one. Both my kids would love the Sea Life bath bombs. They would kind of go hand in hand with being in the water. My kids would like the safari! I think my kids would like sea life. My boys would enjoy the farm kit. My grandson would love the Sea Life collection. These are so cute. Thanks for the giveaway! My granddaughter lives at the beach so I think she would like the sea life. My kids would like the safari. My granddaughter would like Safari the most. I think she would love the Sea Life collection! My kids would love the safari ones most. I think the sea life ones are cool! Would like the sea life. My girl would like the farm. Thank you! I think my kids would like the Safari collection the most! My daughter would like the safari set the most! My daughter would love sea life! My son would love the sea life bath bombs. Farm! Or any of them. My youngest loves bath bombs. He would for sure like the farm one! Safari! We loooove bath bombs over here! I think that my child would love the sea life bombs. These look awesome! Sea Life would be my daughters first and favorite choice! I love the sea life collection! My daughter LOVES just about all bath bombs, but I think that Sea Life would be her favorite! My niece would love any of them. My son would love the sea life bath bomb collection. My son would like the farm set the best. I think my nephew would love the farm animals. My grandchildren would enjoy the farm set. My daughter is six and loves these things. My daughter would love the seal life the most. I'm sure my sons would love sea life, but they are all cute. My granddaughters would like the safari set the best. I like the Safari one. My son would love the sea life set. They would like the sea life. I would say sea life. My son would like the sea life set. She would like Sealife the best.